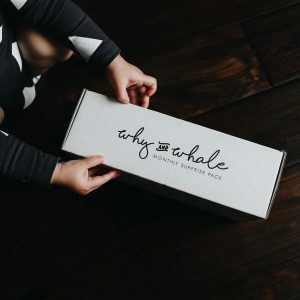 We are so excited to have partnered with Why and Whale in sharing their monthly subscription boxes with all of you. 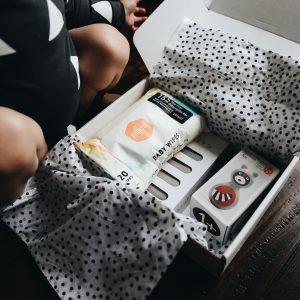 Over the years we’ve had the opportunity to try several different subscription boxes, but Why and Whale’s monthly pack exceeded our expectations! It was like Christmas morning for the St Clair kids when two cute packages showed up at our front door. 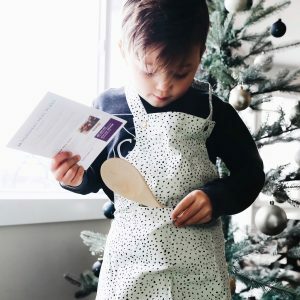 Upon opening them, every item was packaged with so much love, attention, and care. I noticed the phrase “Life is full of surprises” listed on part of their packaging and I just love that! It was so fun for me to sit back and watch the anticipation and joy on my sweet kids’ faces as they carefully opened their boxes. 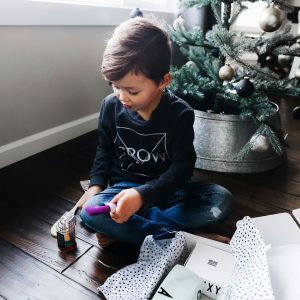 Each box is specific to your little one’s age and gender and is packed with modern goodies from some of the most popular and fun brands out there! Every order includes two apparel items and three accessories/activities OR an apparel item, a large accessory, book and activities OR a large toy/game, book, and room decor. Roux’s box was so sweet and age-appropriate. 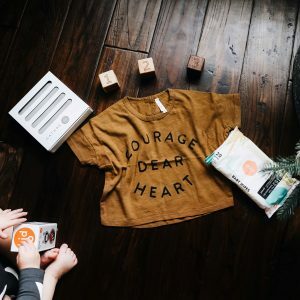 She received a raccoon activity toy, the cutest wooden blocks, a pack of Parasol travel wipes, a Gathre changing pad mat, and a darling tee by Rylee and Cru! Her raccoon toy is definitely a new favorite in our home, but I especially love our new Gathre changing mat (so compact and perfect for diaper changes when we’re on the go). 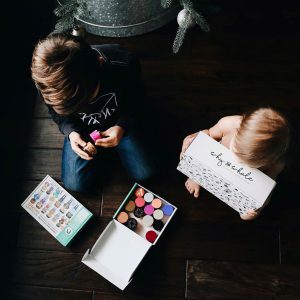 As you can see, Grey and Roux absolutely LOVED opening their Why and Whale Surprise Packs! 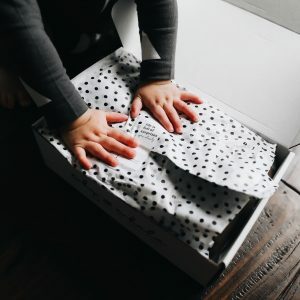 There are so many things that I love about Why and Whale but what really stood out to me the most was that they keep both mama and child in mind with their subscription boxes. 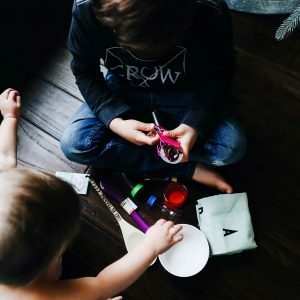 They include every day practical items that mama’s will love and enjoy as well as fun and educational toys/products that will keep your littles busy and engaged. If you’re interested in trying out Why and Whale, you can visit their site here. And if you’d like to enter to win $150 credit to their shop, head over to our Instagram account here for more details.